WHAT IS A BLOG HOP GIVEAWAY? IF YOU ARE UNFAMILIAR WITH WHAT A BLOG HOP IS, it's pretty simple. A group of bloggers joins together to collaborate on a big giveaway. 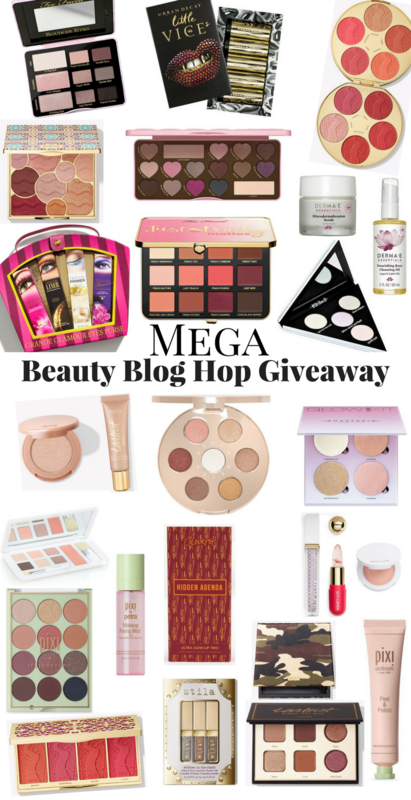 Each blogger in the hop is offering a cruelty free beauty prize plus the chance for you to win a GRAND PRIZE of $350.00 PayPal CASH! Think of all that you can buy with that much money! HOW DOES IT WORK AND HOW DO I ENTER TO WIN? EACH BLOGGER WILL HAVE TWO GIVEAWAY WIDGETS on her blog. One widget will be for the individual beauty prize that blogger is offering. Each blogger has their own rules and conditions, so be sure to read the rules for each giveaway, as they will vary somewhat and you need to follow all of the rules to avoid being disqualified. The second widget is for the GRAND PAYPAL CASH PRIZE and it is the same, on all of the blogs. ENTERING IS EASY-PEASY! 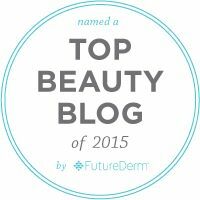 Simply complete the entries on the beauty prize widget on this blog. This is your starting point. Once you complete the beauty prize widget, click the first pink link below the widget for the next blog in the hop. Complete the beauty prize widget for that blog, click the link to the next blog and so on around the hop until you have completed all of the giveaways on all of the blogs. YOU CAN CHOOSE WHICH GIVEAWAYS YOU WISH TO ENTER and which entries in each giveaway you want to complete. Remember that the more giveaways and entries you complete, the better your chances of winning and that TO BE ELIGIBLE TO WIN THE PAYPAL CASH GRAND PRIZE you must complete all entries on all 35 blogger giveaways. It will take us a few days after the giveaway ends to draw the winners and verify all of the entries so please, do not message any of the hosts to ask about who won or when winners will be announced. Once all of the winners are verified, they will be contacted by e-mail so that they can collect their prize. THIS GIVEAWAY BEGINS WHEN THIS POST GOES LIVE AND CLOSES AT 11:59 P.M. ON OCTOBER 31 and it is open to all. ARE YOU READY TO START HOPPING? GREAT! FIRST THING, FIRST - YOU'VE GOTTA ENTER MY GIVEAWAY! I AM GIVING AWAY MAKEUP! Pictured is the Eddie Funkhouser Hyperreal Eye Shadow Palette in Girls on Film, two Ultra Intensity Cheek Colours in Peepshow and Plum Crazy, a liquid liner in black and a lipstick in Model Citizen. Not pictured is a special makeup surprise for the winner. All items, including the surprise goodies are brand new, unused and cruelty free. THE RULES FOR THIS GIVEAWAY ARE SIMPLE AND LISTED IN THE TERMS AND CONDITIONS SECTION OF THE GIVEAWAY WIDGET. PLEASE ENTER FOR MY MAKEUP PRIZE IN THE RAFFLECOPTER WIDGET, BELOW. GOOD LUCK! NOW THAT YOU'VE ENTERED MY GIVEAWAY, IT'S TIME TO START HOPPING! CLICK THE INK FOR THE NEXT BLOGGER IN THE LOOP, RINSE AND REPEAT. Don't forget that you can enter in stages, as long as you finish all entries by 10/31. I numbered the links so that it's easy to come back and pick up where you left off. NOW THAT YOU'VE COMPLETED ALL 35 BEAUTY BLOGGER GIVEAWAYS, it's time to enter the Grand Prize $350.00 PayPal Cash Giveaway! Remember, we will be checking all entries. Woo hoo! I can’t win since I’m also sponsoring but definitely love partnering up with you! I love that this is all cruelty free! These prizes are so epic - best giveaway ever! 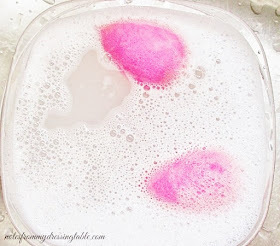 Yay - so happy that everything is cruelty free in our blog hop! Whoa! This is an incredible set of giveaways! What a great giveaway! It's huge! I wish I could enter these giveaways since the prizes are great. 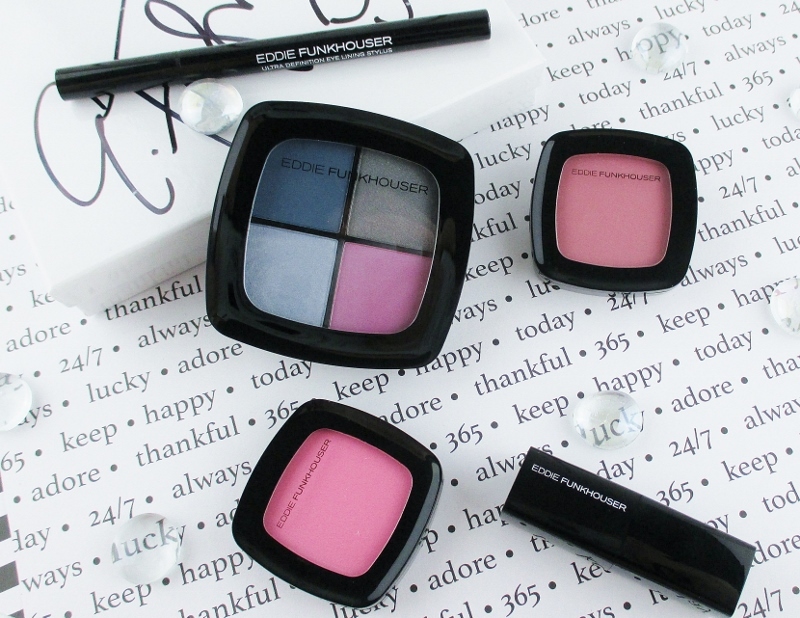 I love my Eddie Funkhouser cosmetics. Oooooh I am totally entering right now! This was SO fun to get together and do -- I wish I could enter without feeling weird, haha! So many great prizes! Great giveaway! I love that everyone sponsoring is so generous. What a massive giveaway! This looks like a lot of fun! I love Eddie Funkhouser products! This is an awesome giveaway! Wow these are pretty shades. I’ve never heard of Eddie Funkhouser before. Thanks for the chance to win! Thank you so much for this chance to win!! Never tried this brand before. Thank you for this chance to win. I have never tried this brand before!